Having taught several courses in many institutions in Europe and the Middle East, Professor Ashraf Salama's experience includes teaching courses in environmental perception, architectural programming/briefing, design methods and theories, criticism and assessment in architectural and urban design, research methods in architecture, applications of socio-behavioral studies in design, and architectural, urban, and community design studios. 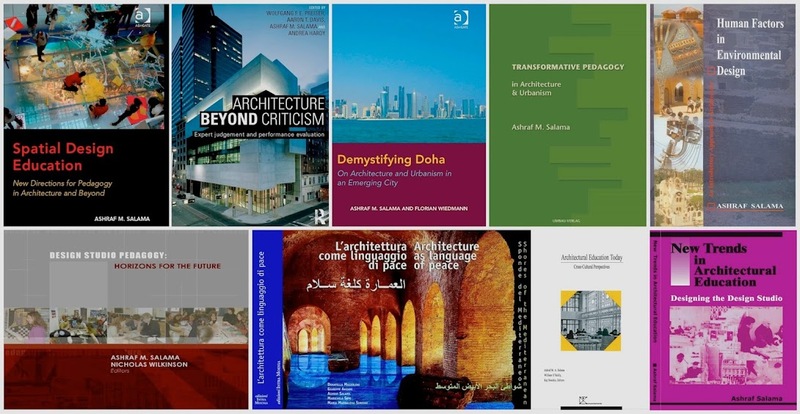 Professor Salama has numerous publications on pedagogy in architecture and urbanism including books, book chapters, peer reviewed journal papers, contribution to conferences, and critical essays. In this era of the “explosion of knowledge” I would assert that no architect or urban designer dares to act on the basis of simple intuition or common sense. In academe, it is expected that an architectural educator impart the requisite knowledge and skills necessary for successful practice. However, the way knowledge is transmitted has significant professional and social implications. In this respect, I would argue that architectural education is not simply the imparting of knowledge and skills necessary for practice, but it involves the development of values, ideologies, and philosophical positions. An architectural educator needs to confront several critical issues that pertain to the nature of reality and the way in which knowledge about that reality is conveyed. Students therefore need to be made aware of both positivist and anti-positivist thinking modes about the built environment. While emphasis is placed on the common properties and universal values of the designed environment, my teaching emphasizes that students need to be able to comprehend the environment as having multiple realities by understanding values, preferences, and lifestyles of people, as individuals and in groupings—people who will perceive and occupy those environments. My effort as an architectural educator has been to reconcile technical and programmatic aspects of architecture with the conceptual ones. Thus, the challenge I am trying to face is to reconcile professional abilities and skills with intellectual growth. My intention in teaching a design studio and/or a seminar class at any level is to introduce concepts that represent social and ethical approaches to the profession and that correspond with the responsibility of our budding professionals toward society. These are architectural and urban programming, and environmental and post occupancy evaluation. In my teaching I place high value on user populations and their cultural aspirations. What concerns me is derived from a set of generic approaches that can be exemplified by thinking globally and acting locally, reconciling lectures and studios, sensitizing students in human aspects of the built environment, developing students’ abilities of searching and thinking critically, and integrating real life experiences into design studio teaching practices. My studio approach emphasizes the integration of what, how, and why of design. I tend to define these questions like this: “What” is characterized by proposing human activities that are appropriate for certain types of buildings, while “how” of design is exemplified by manipulating configurations and forms in response to environmental and humane concerns. On the other hand, “why” is characterized by thinking of why a certain type of space and form is appropriate for a certain type of human behavior. In essence, ,my studio teaching aims to show students that they can conceptualize spaces and still end up with something that can be built. I am driven by a generic goal that emphasizes giving students confidence in their critical abilities-that they can formulate a legitimate, substantial opinion and articulate it. Hence, the major concern is to strike a balance between teaching design as a creative activity and as an activity tempered by the responsibility to the people and place affected by the building. By this, studio assignments and projects involve a knowledge base that has the capability of empowering future designers with more control over their design decisions and actions. Click on selected titles to download or visit web pages. Salama, A. M. (2009). Transformative Pedagogy in Architecture and Urbanism. Umbau-Verlag, Solingen, Germany ISBN # 978-3937954-042. Salama, A. M. and Wilkinson, W. (eds.) (2007). Design Studio Pedagogy: Horizons for the Future. Urban International Press, Gateshead, United Kingdom. ISBN # 1-872811-09-04. Salama, A. M., O'Reilly, W. and Noschis, K. (eds.) (2002). Architectural Education Today: Cross Cultural Perspectives. Comportments, Lausanne, Switzerland. ISBN # 2-940075-07-7. Salama, A. M. (1995). New Trends in Architectural Education:Designing the Design Studio. Tailored Text, Raleigh, North Carolina, United States. ISBN # 0964795000. Salama, A. M. (2018), From the Global South: Pedagogical Encounters in Architecture. Charrette, Volume 5, Number 1, Spring 2018, PP. 1-7. ISSN # 2054 6718. Agapiou, A. and Salama, A. M. (2016). Shaping the Future of Architectural Education in Scotland. Charrette, Volume 3, Number 1, Spring 2016, PP. 1-5. ISSN # 2054 6718. Salama, A. M. and Crosbie, M. J. (Eds.) (2010). Design Education: Explorations and Prospects for a Better Built Environment. Archnet-IJAR: International Journal of Architectural Research 4(2-3), 1-466. Salama, A. M. (Ed.) (2006). Design Studio Teaching Practices: Between Traditional, Revolutionary, and Virtual models. Open House International, 31(3), 1-116. Salama, A. M. (2012). Evaluation Research and Inquiry Based Learning (IBL) in Architecture and Urbanism: Consumption Versus Production of Knowledge. In S. Mallory-Hill, W. Preiser and C. Watson (eds. ), Enhancing Building Performance. John Wiley and Sons, New York, PP. 277-284. ISBN # 978-0-470-65759-1. Salama, A. M. (2007). A Structured Content and a Rigorous Process Meet in Studio Pedagogy. In A. Salama and N. Wilkinson (eds. ), Design Studio Pedagogy: Horizons for the Future. Urban International Press, Gateshead, United Kingdom, PP. 2-8. ISBN # 1-872811-09-04. Salama, A. M. and Wilkinson, N. (2007). Introduction: Legacies for the Future of Design Studio Pedagogy. In A. Salama and N. Wilkinson (eds. ), Design Studio Pedagogy: Horizons for the Future. Urban International Press, Gateshead, United Kingdom, PP. 153-166. ISBN # 1-872811-09-04. Salama, A. M. (2002). Environmental Knowledge and Paradigm Shifts: Sustainability and Architectural Pedagogy in Africa and the Middle East. In A. Salama et al (eds. ), Architectural Education Today: Cross Cultural Perspectives. Comportments, Lausanne, Switzerland. PP. 51-59. ISBN# 2-940075-07-7. Salama, A. M. and Noschis, K. (2002). Introduction: An Architectural Education Responsive to Contemporary Societies. In A. Salama et al (eds. ), Architectural Education Today: Cross Cultural Perspectives. Comportments, Lausanne, Switzerland. PP. 8-14. ISBN# 2-940075-07-7. Salama, A. M. (1999). Incorporating Knowledge about Cultural Diversity into Architectural Pedagogy. In W. O'Reilly (ed. ), Architectural Knowledge and Cultural Diversity, Comportments, Lausanne, Switzerland. PP. 135-144. ISBN# 2-940075-04-2. Salama, A. M. (1998). A New Paradigm in Architectural Pedagogy: Integrating Environment-Behavior Studies into Architectural Education Teaching Practices. In J. Teklenburg et al. (eds. ), Shifting Balances: Changing Roles in Policy, Research, and Design. EIRASS, Eindhoven, The Netherlands. PP.128-139. ISBN# 90-6814-082-5. Salama, A. M. (2017). Teaching Architectural Programming: Cultivating a Culture of an Inquiry-Based and a Process-Centred Design Pedagogy. Architecture and Construction of Russia, Volume 2017, Issue 2, PP. 30-45. (English and Russian). Salama, A. M. (2013). Seeking New Forms of Pedagogy in Architectural Education, Field Journal – University of Sheffield, Volume 5, Issue 1, PP. 9-30. ISSN # 1755-068. Salama, A. M. (2012). Evaluation Research as a Mechanism for Critical Inquiry and Knowledge Construction in Architectural and Urban Education, FORMakademisk, Volume 5, Issue 2--5 Years Anniversary Issue, PP. Art.1, 1-12. ISSN # 1890-9515. Salama, A. M. (2012). Knowledge and Design: People-Environment Research for Responsive Pedagogy and Practice, Procedia-Social and Behavioral Sciences-Elsevier Imprint, Volume 49, PP. 8-27. ISSN #1877-0428. (Based on Proceedings of the 1st National Conference on Environment-Behavior Studies, Shah Alam, Malaysia, November 2009). Salama, A. M. and El-Attar, M.S. (2010). Student Perceptions of the Architectural Design Jury, Archnet-IJAR–International Journal of Architectural Research, Volume 4, Issues 2-3, PP. 174-200. ISSN # 1938 7806. Salama, A. M. (2010). Delivering Theory Courses in Architecture: Inquiry Based, Active, and Experiential Learning Integrated, Archnet-IJAR –International Journal of Architectural Research, Volume 4, Issues 2-3, PP. 278-295. ISSN # 1938 7806. Salama, A. M. (2008). A Theory for Integrating Knowledge in Architectural Design Education, Archnet-IJAR- International Journal of Architectural Research, Volume 2, Issue 1, PP. 100-128. ISSN # 1938 7806. Salama, A. M. (2007). Contemporary Qatari Architecture as an Open Textbook, Archnet-IJAR-International Journal of Architectural Research, Volume 1, Issue 3. PP. 101-114. ISSN # 1938 7806. Salama, A. (2007). An Exploratory Investigation into the Impact of International Paradigmatic Trends on Arab Architectural Education, Global Built Environment Review-GBER, Volume 6, Issue 2, GBER, PP. 31-43. ISSN # 1474-6824. Salama, A. M. (2006). Learning from the Environment:Evaluation Research and Experience based Architectural Pedagogy, Journal of the Center for Education in the Built Environment, CEBE Transactions, Volume 3, Issue 1, PP. 64-83. ISSN # 1745-0322. Salama, A. M. (1998). Architectural Knowledge and Socio-Behavioral Studies in Middle Eastern Schools of Architecture, Journal of Architectural Research-JAR, Volume 31, Department of Architecture, Al-Azhar University, Cairo, Egypt, PP. 6-29. Salama, A. M. (1996). Environmental Evaluation: A New Voice for Integrating Research Into Architectural Pedagogy, Journal of Architectural Research-JAR, Volume 29, Department of Architecture, Al-Azhar University, Cairo, Egypt, PP. 1-23. Salama, A. M. and Aboul-Maged, M. (1996). Games, Gaming, and Participatory Design: Simulating the Interaction with Clients and Users in Architectural Education, Journal of Architectural Research-JAR, Volume 29, Department of Architecture, Al-Azhar University, Cairo, Egypt, PP. 24-39. Fethi, I., Mahadin, K., and Salama, A. M. (1993). Toward Bridging the Gap Between Theory and Practice: The Status of Construction and Affiliated Courses in Architectural Education Today, Open House International, Volume 18, Issue 4, United Kingdom, PP. 11-18. ISSN # 0160-2601. Salama, A. M. (2014). 'Liveness' Beyond Design Studio Pedagogy: Layers of ‘live’ Within and Across the Boundaries of Classroom Settings. Proceedings of the 2nd Annual Conference of AAE-Association of Architectural Educators. Sheffield, United Kingdom. PP. 88-93. Salama, A. M. (2013). Keynote Paper: Evolving Sustainable Design Approaches in Architectural Practice and Education, International Sustainable Tropical Design Conference (SUSTED’13), Faculty of Design and Architecture, University Putra Malaysia, Serdang, Malaysia, PP. 8-16, ISBN #978-1-901922-96-7. Salama, A. M. (2012). Beyond the Consumption of Knowledge: Questioning of and Questing for Future Forms of Pedagogy in Architectural Education (Keynote Paper). MAEC-2012: Malaysian Conference on the Future of Architectural Education, University Putra Malaysia, Serdang, Malaysia, PP 1-11, e-ISBN No: 978-967-5545-05-4. Wiedmann, F. and Salama, A. M. (2012). The Role of Architecture in Producing Urban Qualities for Sustainability: Implications for the Future of Architectural Education. MAEC-2012: Malaysian Conference on the Future of Architectural Education, University Putra Malaysia, Serdang, Malaysia, PP. 20-26, e-ISBN No: 978-967-5545-05-4. Salama, A. M. (2011). 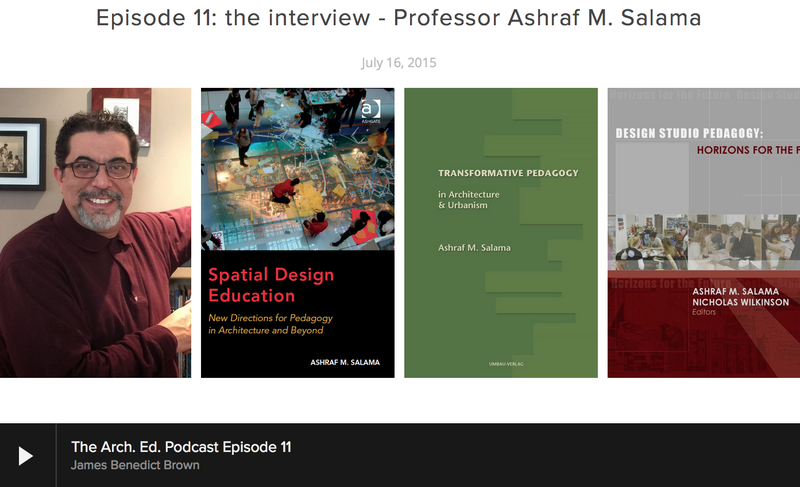 Cross-Disciplinary Knowledge in Architectural Design Pedagogy. In Claudio D’ Amato (ed. ), Proceedings of the 1st International Conference of Rete-Vitruvio: Architectural Education Between Teaching and Research. School of Architecture, Polytecnico Di Bari, Bari, Italy, PP. 1463-1472. ISBN # 978-88-95612-78-2. Salama, A. M. (2009) Keynote Paper: Knowledge and Design: People-Environment Research for Responsive Pedagogy and Practice. First National Conference on Environment Behavior Studies. Faculty of Architecture, Planning, and Surveying. University Technology Malaysia-MARA, Shah Alam, Malaysia. Salama, A. M. (2007). Learning from Qatari Architecture: Impressionistic Evaluation and Experience Based Pedagogy. In J Coulson, D. Schwede, and R. Tucker (eds. ), Proceedings of the 41st Annual Conference of the Architectural Science Association – ANZASCA 2007. The School of Architecture and Building, Deakin University, Geelong, Australia, PP. 215-222. ISBN # 978-0-9581925-3-8. Salama, A. M. and Amir, A. (2005). 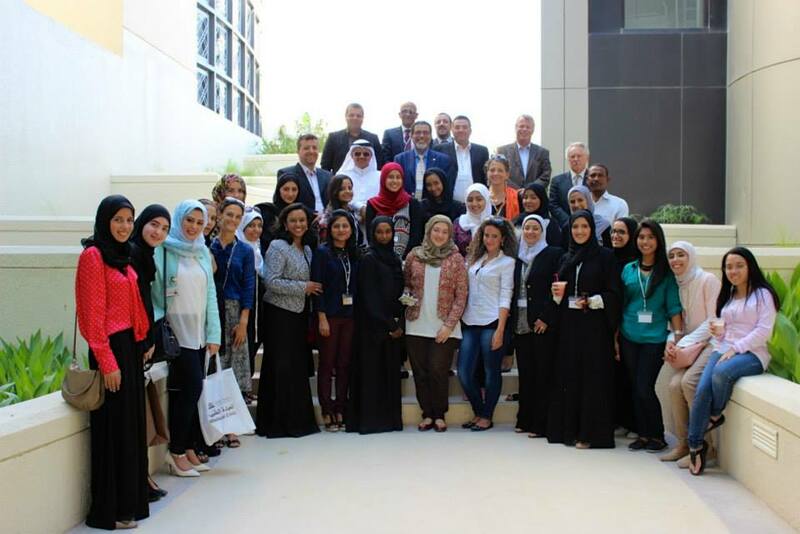 Paradigmatic Trends in Middle Eastern Architectural Education: Impacts and Challenges. In Proceedings of XXII World Congress of Architects, UIA-International Union of Architects – Cities: Grand Bazaar of Architectures. International Union of Architects, Istanbul, Turkey. Salama, A. M. (2005). Skill-Based/Knowledge-Based Architectural Pedagogies: An Argument for Creating Humane Environments. In Proceedings of 7th International Conference of the IAHH-International Association of Humane Habitat-Enlightening Learning Environments, Mumbai, India. Salama, A. M. (2001). The Design Studio under the Microscope (Invited Plenary Speaker). In M. Edge (ed. ), Proceedings of the 32nd Annual Conference of EDRA, Environmental Design Research Association – Old World- New Ideas, Edinburgh, United Kingdom. ISBN # 0939922-26-6. Salama, A. M. (1999). Planning and Architectural Pedagogy in a Time of Paradigm Change: A Responsive Argument for Future Professional Practice. 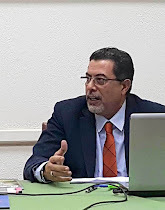 In Proceedings of an International Joint Conference on Planning Education for the 21st Century, Faculty of Urban and Regional Planning of Cairo University, Planning Department of Texas A and M University, and Oxford Brooks University, Cairo, Egypt. Salama, A. M. and Abdou, O. (1999). Designing for Sustainable Future: Reflection on Architectural Education in Africa and the Middle East. In Y. Mansour (ed. ), Proceedings of the 2nd International Conference on Sustainability in Desert Regions, SDR 99. United Arab Emirates University, Al Ain, United Arab Emirates, PP. 333-341. Salama, A. M. (1997). Democratizing the Architectural Design Studio: Applying the Hidden Curriculum and Community Design Concepts. In Proceedings of UIA (International Union of Architects) International Conference on Cultural Heritage and Architectural Education. International Union of Architects – UIA and Misr International University – MIU, Cairo, Egypt, PP. 44-62. Salama, A. M. (1995). Architectural Pedagogy in Transition: Examining the Role of the Design Studio. In Proceedings of Al Azhar Engineering 4th International Conference. College of Engineering, Al Azhar University, Cairo, Egypt. Salama, A. M. (1995). Conceptualizing Arab Architectural Education: Artistic and Social Paradigms. In Proceedings of Al Azhar Engineering 4th International Conference. College of Engineering, Al Azhar University, Cairo, Egypt. Salama, A. M. and Osbourne, Lindy (2009). Unveiling the Experiential Dimension of Field/work in Architectural Pedagogy. Proceedings of the 6th Annual Architectural Humanities Research Association International Conference AHRA, University of Edinburgh, United Kingdom (Poster). Salama, A. M. (2005). Diversity into Pedagogy: An Experiential Learning Framework for Enhancing Environment-Behavior Paradigm in Architectural Education. In H. Chaudhury (ed. ), Proceedings of the 36th Annual Conference of the Environmental Design Research Association – EDRA, British Columbia, Canada, PP. 133. ISBN # 0-939922-29-2. Salama, A. M. (2002). Deep Sustainability and Architectural Pedagogy in the Developing World. In G. Moser,E. Pol, Y. Bernard, M. Bonnes, J. Corraliza, and M. V. Giuliani (eds. ), Proceedings of IAPS 16, International Association for People-Environment Studies – Metropolis 21st Century: Cities, Social Life, and Sustainable Development, Paris, France. Salama, A. M. (1999). Designing Responsive Undergraduate Programs of Architecture. In Proceedings of the International Congress of Architects, International Union of Architects – UIA. International Union of Architects – UIA, Beijing, China. Salama, A. M. (1998). Cultural Diversity in Architectural Pedagogy. In K. Noschis (ed. ), Proceedings of the 5th Architecture and Behavior Colloquium – Architectural Knowledge and Cultural Diversity. Comportements, Ascona, Switzerland. Salama, A. M. (2012) Empowering Future Architects and Urban Designers Integrating Inquiry Based Learning (IBL) into Teaching Practices of Architecture. TAT-TVAM: A Bi-Annual Journal of Architecture and Allied Disciplines, Nagpur, India, PP. 1-17. Salama, A. M. (2011). Towards a Responsive Architectural and Urban Education for Understanding of and Intervening in Islamic Societies. Lonaard Magazine, Volume 1, Issue 4, Arab Architects' Critics Association, London, PP.130-137, ISSN 2045-8150. Salama, A. M. (2010). Transformative Pedagogy: Knowledge Construction and Effective Curriculum Delivery in a Competitive Higher Education. Tawasol: Qatar University Education Reform Journal, Doha, Qatar, Issue 12, Spring 2010, PP. 15-24. Salama, A. M. (2006). Symbolism and Identity in the Eyes of Arabia’s Budding Professionals. Layer Magazine, LAYERMAG, New York, United States. Salama, A. M. (2003). A Voice for an Alternative Architectural Education: Integrating the What and How. 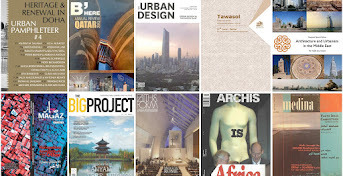 ARCHITIMES, Volume 19, Issue 9, ArchPress, Karachi, Pakistan. ISSN # SS261. Salama, A. M. (1998). Towards A New Role for the Architect in Society. Medina Magazine, Issue 3, Medina Publishing, British Virgin Islands, PP. 72-73.